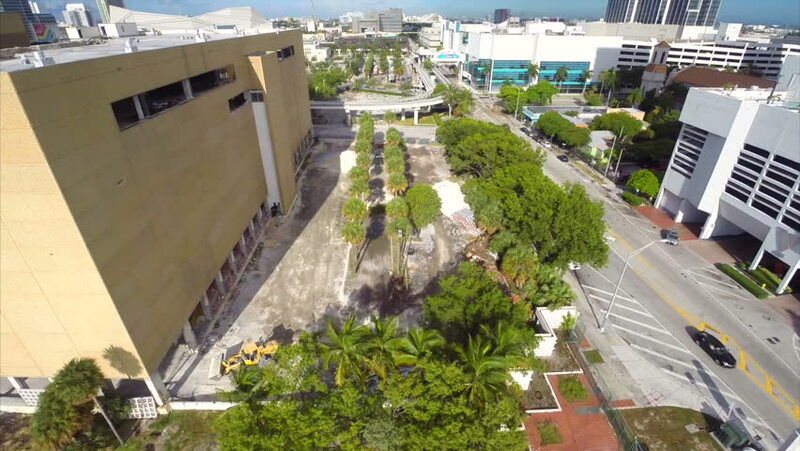 hd00:29MIAMI - SEPTEMBER 10 2014: Demolition of the Miami Herald Building at Downtown Miami 2. 4k00:10Beautiful aerial view of Asphalt road with surrounding rice paddy field. hd00:15Workers and machines repair the central park. Residential area of the city. View quadcopter repair work.